In 2017, almost out of the blue, Yiddish language returned to the German capital. 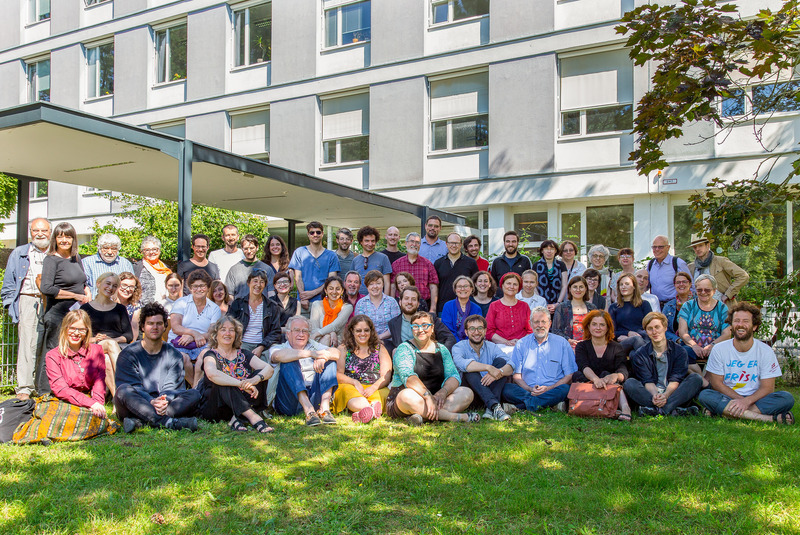 Though there had been single reading groups and learning circles before, for the first time a full-fledged Yiddish Summer school took place in Berlin. This project had roots in the city, but most of its personnel came from across the Rhine: it was initiated by the Paris Yiddish Center - Medem Library, 1 1 This library is the biggest collection of Yiddish books in Europe and an important center of Yiddish research. in cooperation with the Institute for East European Studies at the Free University of Berlin. I had the privilege to be a participant. From the beginning it felt special to participate in a Yiddish program in Berlin, considering the history of the Yiddish-speaking community there in the 20th century: a short period of extraordinary blossoming followed by catastrophic devastation and finally a near-complete obliteration of Yiddish culture. The theme of the program was Germany and Berlin in Yiddish literature. We read texts that were written in and about Berlin to understand the image of this city in Yiddish culture and its metamorphosis through the decades. We moved from texts by Leyb Kvitko and Moyshe Kulbak about young immigrants who came from the East to Berlin with new hopes and expectations to horrific poems from the “In Sdom” cycle by Avrom Sutskever, who visited Berlin in 1946. From the hip 1920s Berlin of Yiddish modernism, Yiddish theatres, cabarets and clubs, the “Romanischer Café” where writers and artists whiled away the hours in discussions about Jewish literature and politics to post-war, apocalyptic Berlin where the only remains of Jewish life were private belongings of deported families that were exchanged on the black market for tobacco and food. In the 1920s Berlin became one of the most important destinations of Jewish immigration. This was because during the post-World War I economic crisis in Germany Berlin was an affordable place to live, especially for Yiddish writers who received honoraria from the American Forverts or other foreign newspapers. And not only to live — Berlin was home to the most affordable publishing facilities in Europe, while the tradition of high-quality printing in Germany was well-known all over the world. The affordability of printing in Berlin allowed Jewish authors to establish magazines and produce books of the highest quality. Many In geveb readers may be familiar with the famous cover of the Milgroym magazine, a beautiful example of Yiddish printing in Berlin. So many important Yiddish writers and artists lived in Berlin that it is hard to list them all. David Bergelson, David Hofstein, Hersh Dovid Nomberg, Der Nister, Uri Zvi Greenberg and many others spent some time in Berlin, using it as a temporary location on the way to other destinations (Palestine, America or the USSR). But this golden age did not last for long — many Yiddish artists had already left Berlin by the end of the 1920s and the beginning of the 1930s. Those who did not manage to leave before the establishment of the Nazi regime witnessed the beginning of the darkest period of the 20th century and the near annihilation of Jewish life in Germany. For many decades Yiddish disappeared from the streets of Berlin, together with Jewish community life in general. In the 1990s there was a huge wave of Jewish immigrants from the former Soviet Union, and Russian became the main language of reborn Jewish life in Berlin. 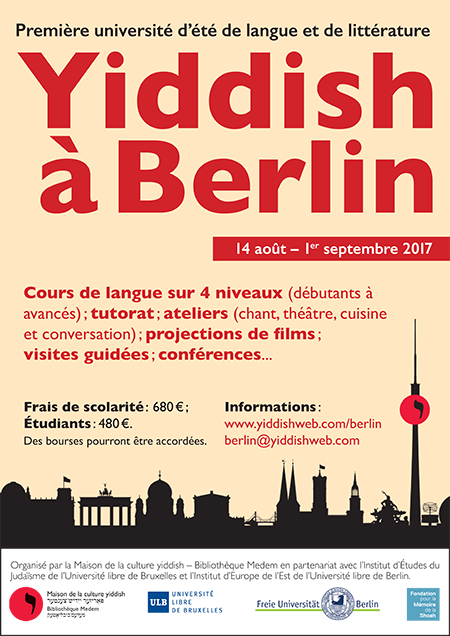 So how did I end up participating in a Yiddish summer school in Berlin in 2017? The initiator was Tal Hever-Chybowski, who lived and studied in Berlin for seven years before moving to Paris, where he became Director of the Paris Yiddish Center Medem Library. It is true — many klezmer musicians have moved to Berlin in recent years, 2 2 Singer Karsten Troyke performed klezmer music in Berlin already in the 1980s in GDR. Now such musicians and bands as Daniel Kahn & The Painted Bird, Sasha Lurje (Forshpil), Ilya Shneyveys (Dobranotch) spend most of their time in Berlin. and now it hosts several regularly recurring events, such as the Shtetl Neukölln festival and klezmer jam sessions. But for those who are interested in Yiddish language and literature there are very few options. Before this beautiful idea could be realized the organizers had to solve many problems. First of all, where to find funding for such a project? And where to hold this school? And many other questions: proper advertising, making a schedule, searching for lecturers and guides for evening and weekend events. The school preparation was coordinated by the staff of the Medem Library and by a small group of Berlin-based volunteers. All the challenges were successfully overcome: the summer program was supported by the Fondation pour la Mémoire de la Shoah, the Friede Springer Stiftung, the Szloma-Albam-Stiftung and the Binyumen Schaechter Foundation. It took place in the Institute for East European Studies at the Free University of Berlin, thanks to the help of its director. It wasn’t only the teachers who came from different countries. 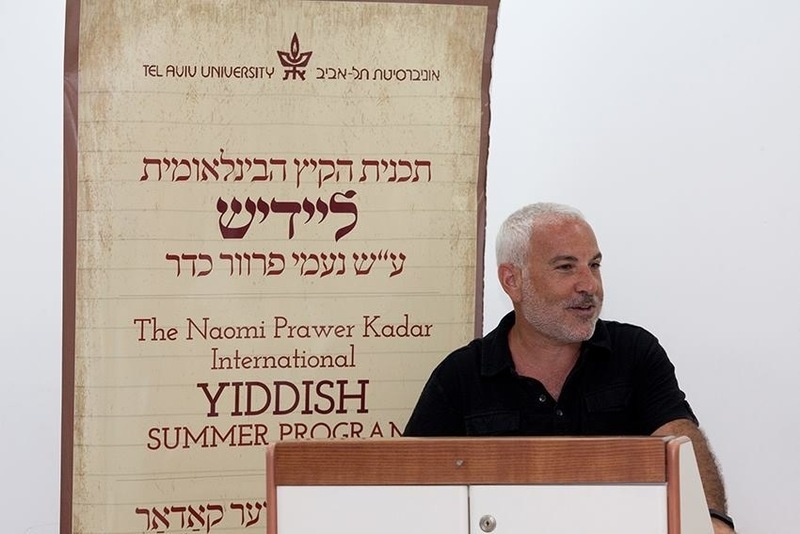 I was one among 60 students who came from Israel, France, Belgium, Russia, Ukraine, Poland and of course Berlin itself to study Yiddish language and literature in this intensive course. There were four different levels, from beginners to very advanced students. People who came to this program had completely different backgrounds. Translators from the USA and Canada, a linguist from Antwerp, an actress from Berlin, a Holocaust researcher from Kharkov, a Jewish Studies student from Warsaw. 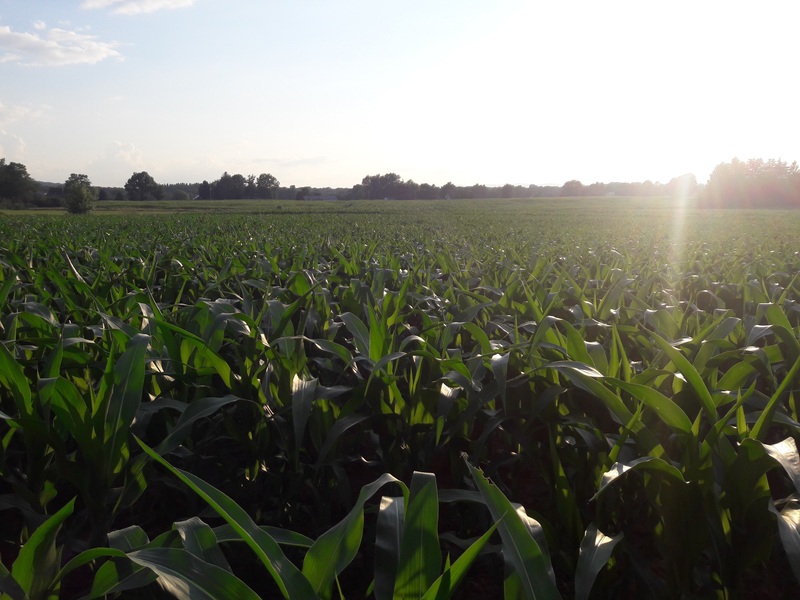 Some of them were very well-versed in Yiddish literature and culture, while others were just making their first steps in this field. Such a variety created an incredibly inspiring and motivating atmosphere in the school. Students were not only able to attain new knowledge but also meet new friends and colleagues from around the world. The organizers managed to make a schedule which helped the participants to discover the city in connection to its Yiddish past and present. Many activities happened outside the university walls. During the walking tours we had a great opportunity to read Yiddish texts about Berlin in the surrounding they were describing, to visit former Jewish districts and the Weissensee Jewish cemetery, the biggest Jewish cemetery in Germany which was active even in the time of World War II. Culinary workshops and evening lectures were held in such places as a cafe with Yiddish theatre posters on the walls or the bookstore Buchbund where it is possible to buy books about Yiddish literature as well as books in Polish. There were also visits to places not directly related to Yiddish. For example, one lecture was held in “Denkerei,” a German contemporary art and aesthetic philosophy center. When the school ended it actually felt like a beginning. 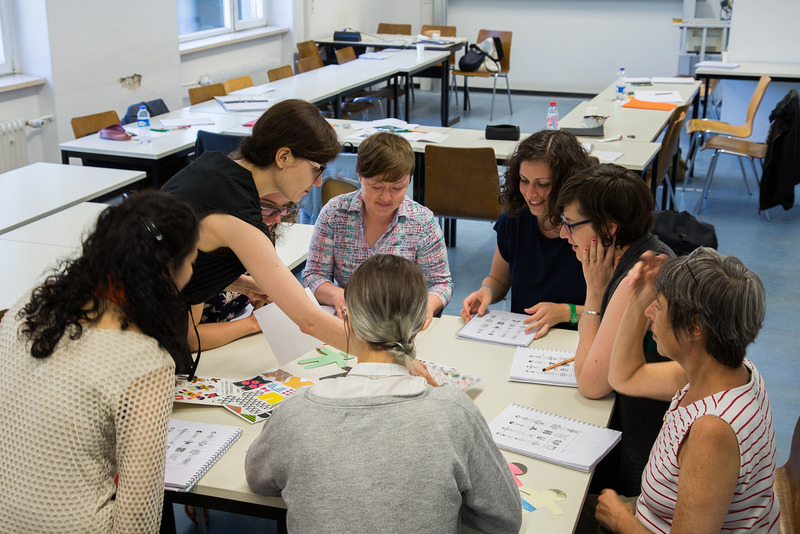 The next Berlin Yiddish program is planned to happen in 2019, and in the meantime there are people who maintain enthusiasm to develop Yiddish culture in Berlin. Singer Karsten Troyke performed klezmer music in Berlin already in the 1980s in GDR. Now such musicians and bands as Daniel Kahn & The Painted Bird, Sasha Lurje (Forshpil), Ilya Shneyveys (Dobranotch) spend most of their time in Berlin. This library is the biggest collection of Yiddish books in Europe and an important center of Yiddish research. Kuznetsova, Ekaterina. 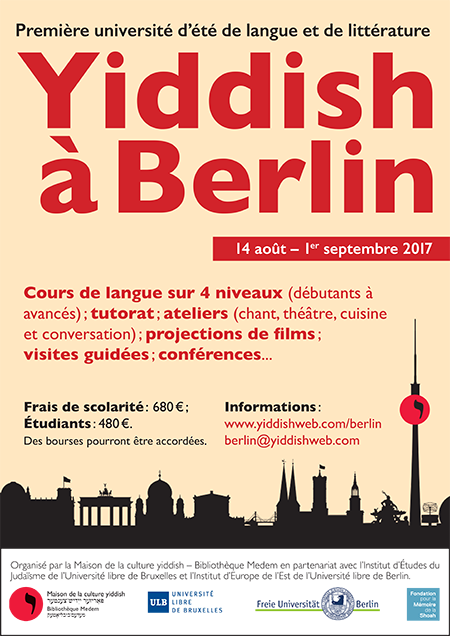 “Yiddish in Berlin/Berlin in Yiddish.” In geveb, December 2017: https://ingeveb.org/pedagogy/yiddish-in-berlin-berlin-in-yiddish-reflections-on-the-first-ever-yiddish-summer-program-to-take-place-in-the-german-capital-august-14th-september-1st-2017. Kuznetsova, Ekaterina. 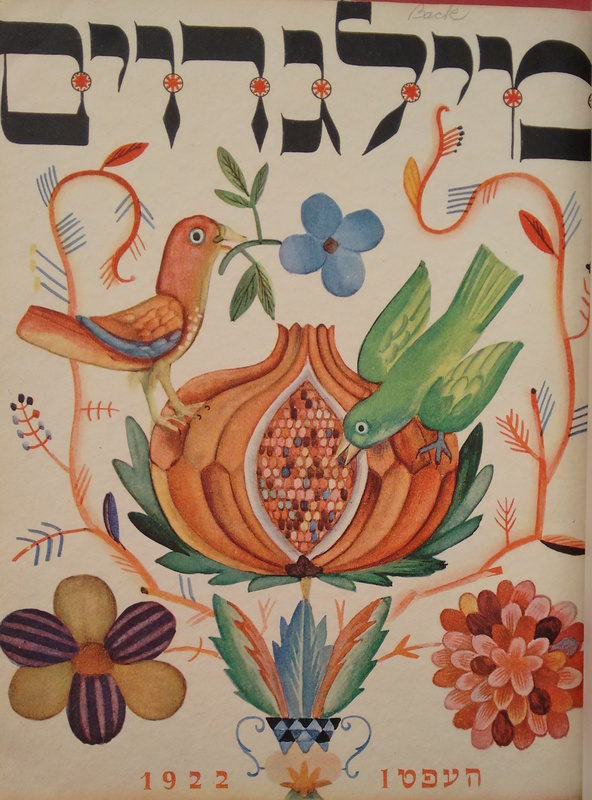 “Yiddish in Berlin/Berlin in Yiddish.” In geveb (December 2017): Accessed Apr 21, 2019. 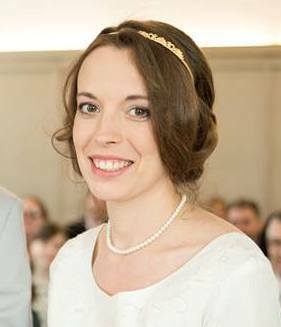 Ekaterina Kuznetsova is a PhD student at the Regensburg University.